The Roman Colosseum is one of the most recognized buildings in the world. As one of the New Seven Wonders of the World, the line to visit the Colosseum on your trip to Italy may take hours. However, there are many ways to shorten your wait time if you are visiting the Colosseum. You can purchase a guided tour or an audio tour ahead of time, and these tours will start in separate entrances. You can also pay for your ticket online with a reservation fee – but if you are a budget traveler, you may be interested in other options. 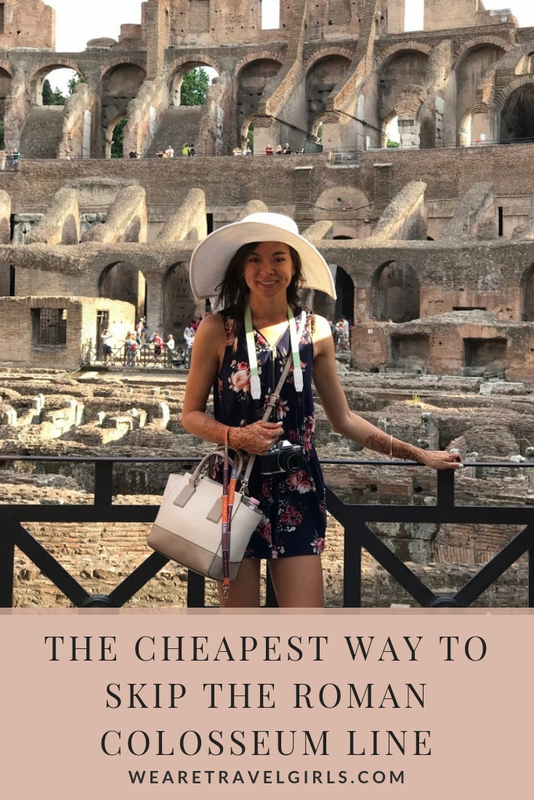 The secret to getting into the Roman Colosseum without waiting in line or paying any extra costs? 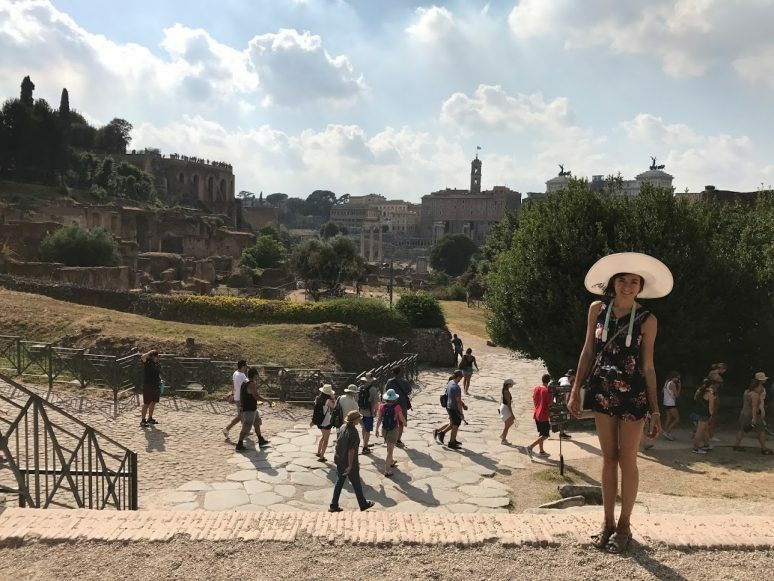 Visit the Roman Forum and Palatine Hill first! You will use the same ticket to get into all three attractions, and the lines to get into the Roman Forum will be much, much shorter. This way, you do not have to pay extra to purchase your ticket online or purchase a skip-the-line pass. You can even purchase your ticket at the Roman Forum, then go straight to the Colosseum to still save time. 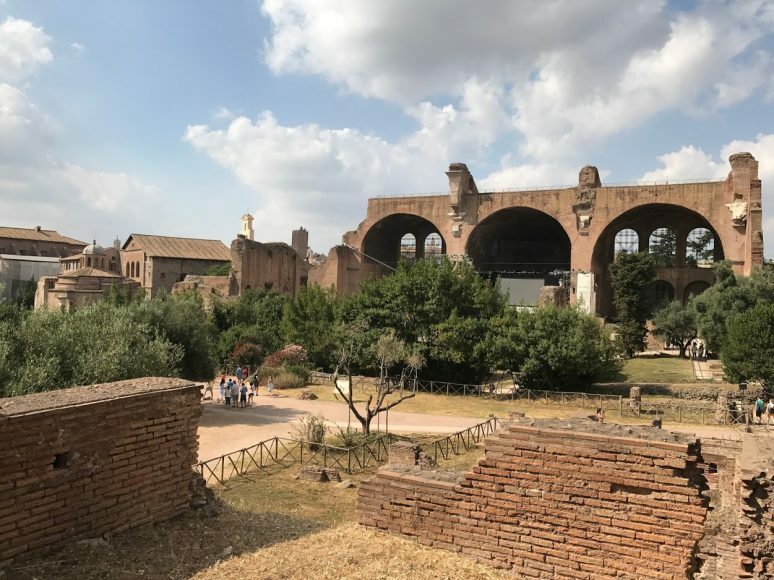 The closest place to buy tickets to the Colosseum with a short line is the Via Sacra entrance to the Roman Forum and Palatine Hill. 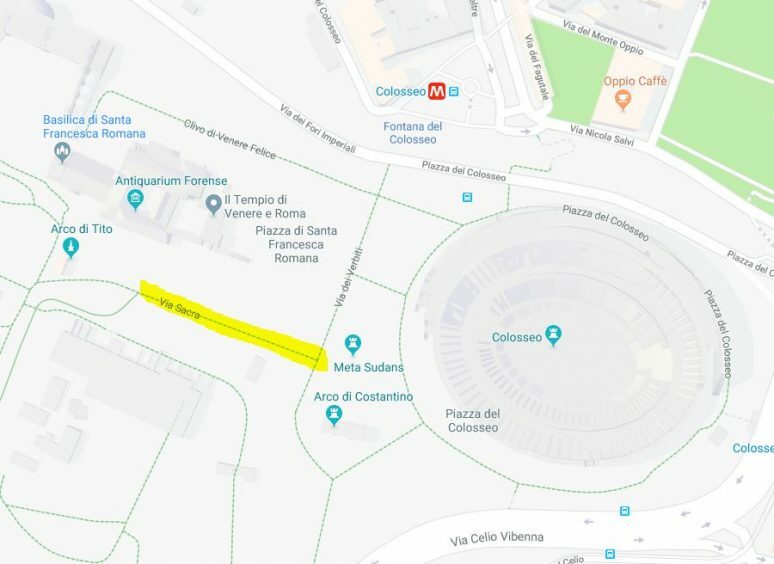 If you are just walking out of the Colosseo metro stop, the Roman Colosseum will be on your left, the Arch of Constantine will be in front of you, and the entrance you are looking for will be down the road on the right. This entrance will be labeled “Roman Forum – Palatine Hill”, and is on the cobblestone path. If you are not in a rush, you can visit the Roman Forum and Palatine Hill prior to your Colosseum visit, so you do not have to walk back up this road later. You are still welcome to head straight to the Colosseum from this ticket counter. The tickets you purchase are also good for 2 days, so you are welcome to visit either site at a later time. However, these do not include re-entry to the sites so you will have to plan your schedule accordingly. The Via Sacra entrance works well if you do not plan on walking the entire Roman Forum and you are interested in getting to the Colosseum as quickly as possible. 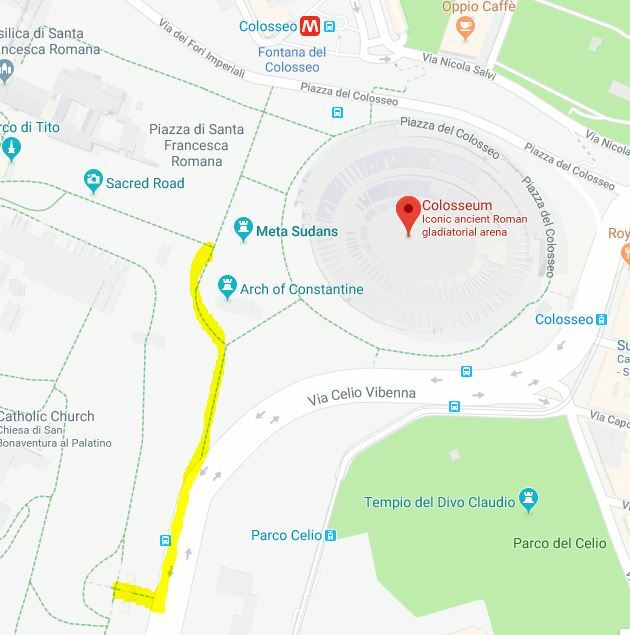 You can still access Palatine Hill from this entrance, however, if you plan on spending more time in this area you may want to consider taking the main Palatine Hill entrance instead of the Via Sacra entrance. For an even shorter line but longer walk, you can purchase your Colosseum ticket at the east Palatine Hill entrance. If you come out of the Colosseo metro stop with the Roman Colosseum on your left, you will see the Arch of Constantine in front of you. If you follow this road, make your way to the right of the Arch, you will follow the road south along the Forum. You will eventually find the Palatine Hill entrance on your right. There is very rarely a line at this entrance, and it is the ideal entrance if you plan on seeing the entire Palatine Hill and Roman Forum. 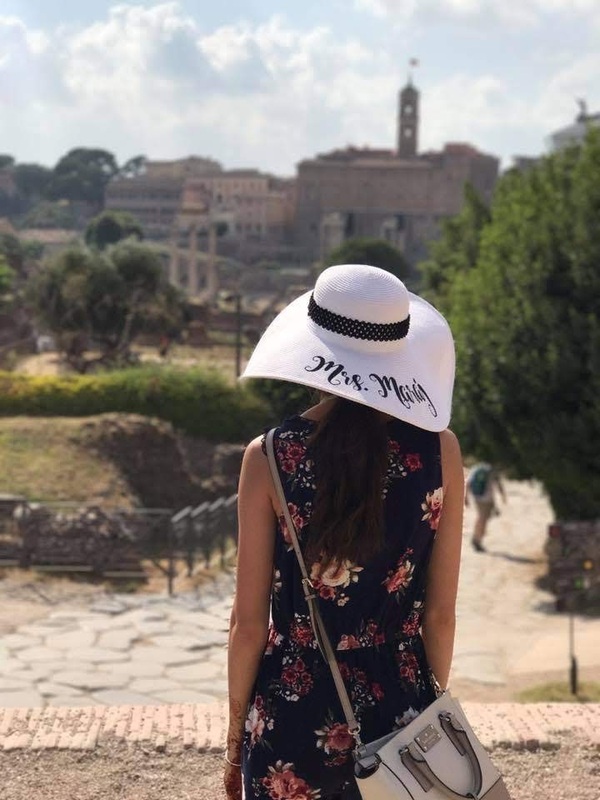 This allows you to start at the Palatine Hill, and then work your way back towards the Roman Forum and Roman Colosseum. 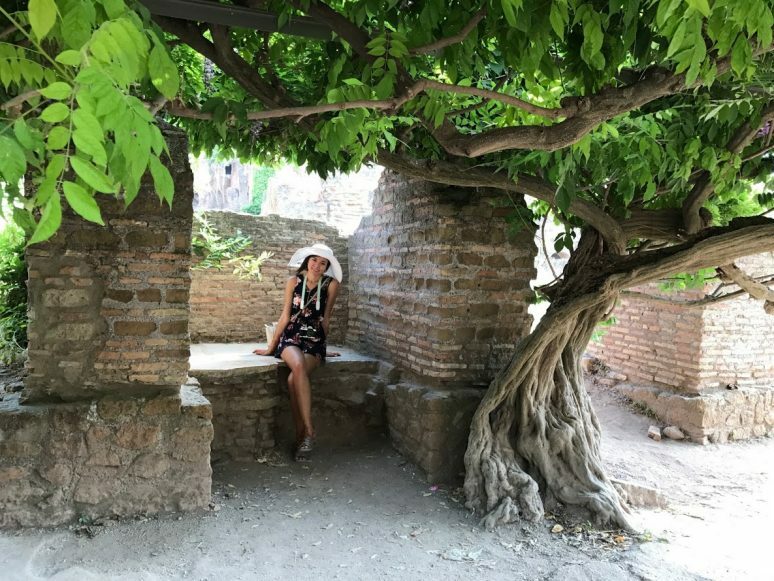 The route to the Palatine Hill entrance is not as steep as trying to get to the Palatine Hill from the Roman Forum, so this is also an ideal route for saving energy. Especially if you are visiting in the summer and it is quite warm, this route is much more leisurely. If you are under 18 years old, you can actually get into the Colosseum for free. You will need to still get an entrance ticket, but have your ID ready. 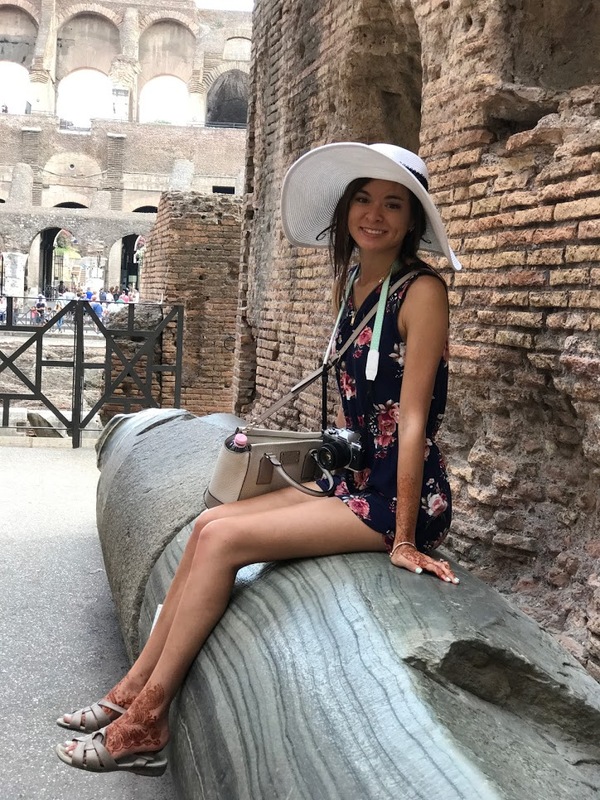 There are other free conditions to get into the Colosseum, such as if you are a tour guide, Italian teacher, or a national journalist working on professional activities. For the majority of us, however, we will have to pay. On the first Sunday of the month, anyone can visit the site for free. However, the lines on these days will be incredibly long. If you are in Rome for a short period of time, it may be best just to pay and visit any other day. This is a good way to save money, but in reality, you cost yourself the time that cannot be bought back. While I would not recommend buying your ticket online or paying the skip-the-line extra costs, if you do have room in your budget, I would recommend an audio or tour guide. Because we wanted the flexibility of going at our own pace, my husband and I purchased the audio tours to listen to as we walked around. While there are signs available to explain what you are looking at, the audio tours do help you understand the scenery. 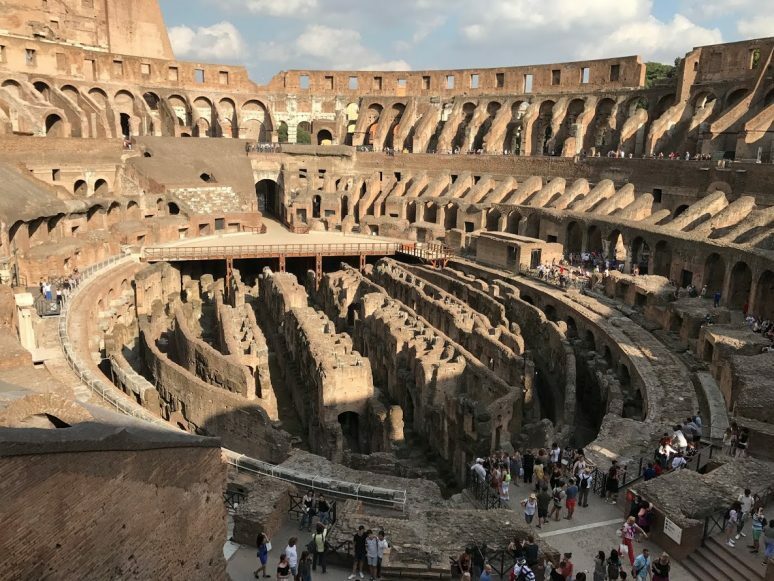 If you have a planned schedule, a guided tour booked directly from the official Colosseum website will be your least expensive tour option. If you are looking to save costs, download a guide onto your phone ahead of time or purchase a tour book with further details. 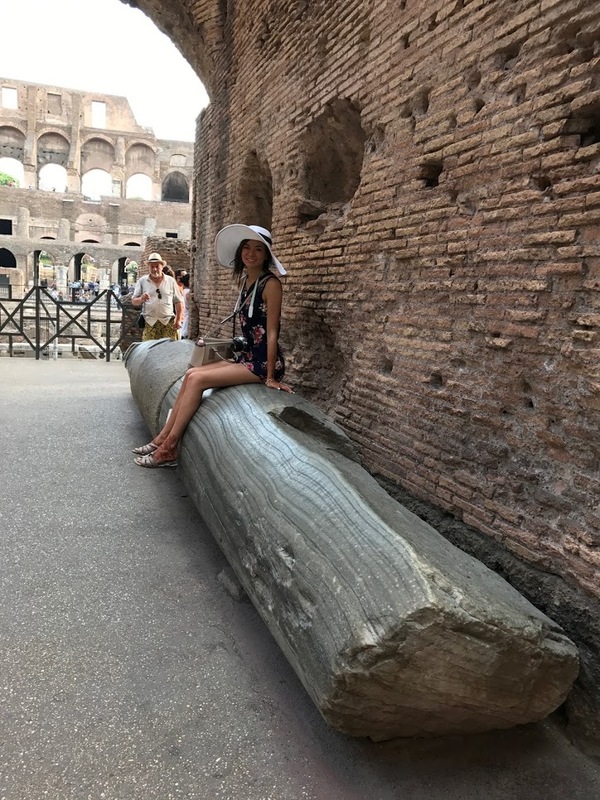 Especially within the Roman Forum and Palatine Hill, it can be difficult to tell what you are seeing or to understand the significance of the sites. When you are ready to visit the Colosseum, you can exit the Roman Forum and Palatine Hill from a north exit. You will see signs leading you out near the northeast of the hill, close to the Via Sacra entrance. This north exit will lead you straight to the Colosseum. You will see long lines for purchasing a ticket, but there will be a second entrance line that goes straight to security, for individuals who already have their tickets. You will still need to go through the security line and have your bags checked before entering. However, you will feel like a VIP walking past everyone who has been waiting! A visit to the Colosseum is a must if you are in Rome for the first time. You plan for at minimum a half day, and possibly a full day to visit all three sites mentioned above. While not as well known, the Roman Forum and Palatine Hill are worthwhile visits. 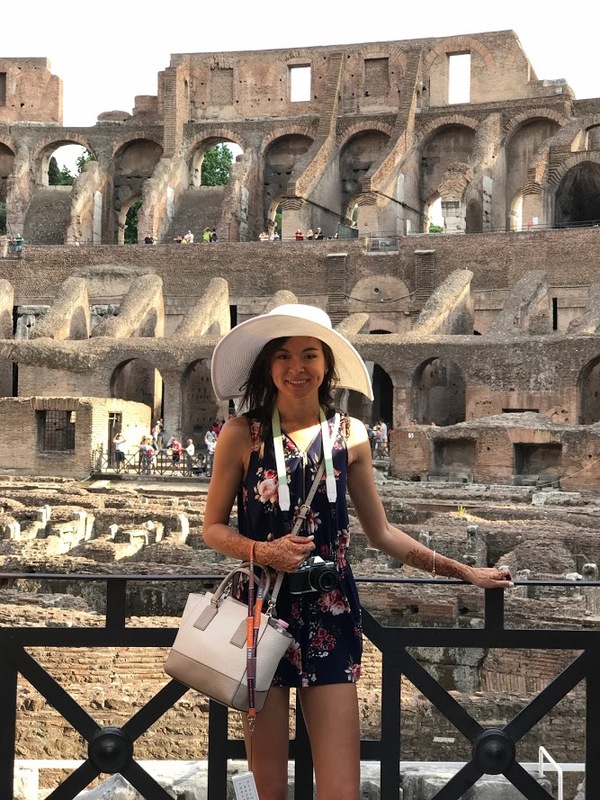 You have the opportunity to imagine what Rome used to be like, and the honor of standing in the ancient city where so much political action took place. Who knows what it must have looked like in its prime? 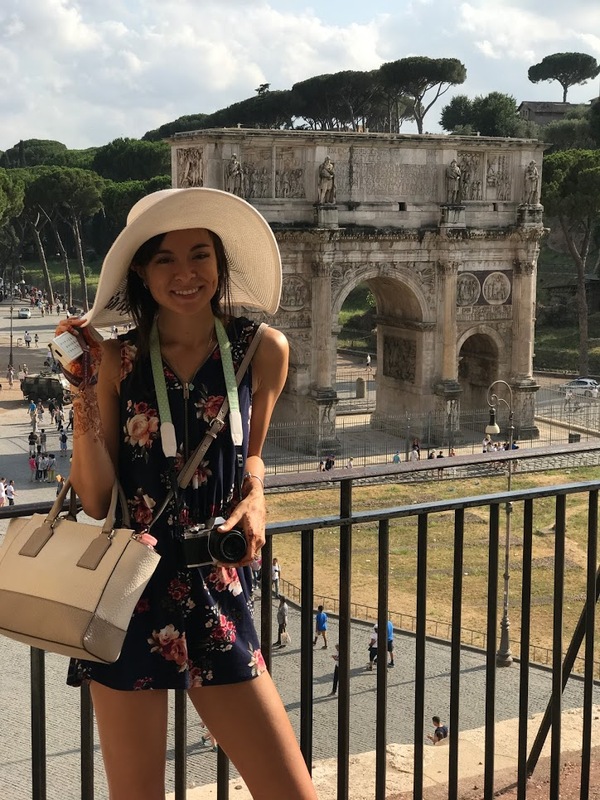 We hope that this article has inspired you to visit Rome. If you have any questions about the destination or have your own travel tips to share please leave these in the comments below.